Ever wondered what gets us every time we exercise outdoors? Hills. If you are planning an uphill run and haven’t yet mastered the techniques on how to run uphill, you already know what to expect. A little after starting, you might begin to feel the typical signs of exhaustion; the tingle in your legs, the difficulty breathing and the pains and cramps are all signs of that uphill struggle. However, these problems can be greatly mitigated when you use the correct form or technique when running uphill, which will only increase your tenacity and confidence. 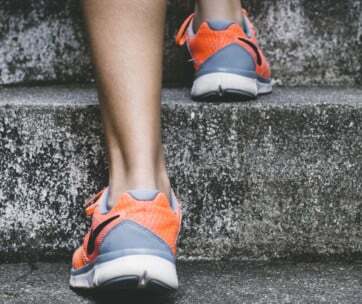 As it is commonly known, uphill runs involve you doing more work than when compared to a flat surface – this is because you are actually trying to defy gravity. However, if not done properly, you can get seriously injured or extremely fatigued to the point you find it hard to cope mentally and physically. Listed below are eight great techniques and their benefits that will help you have an enjoyable run uphill. Benefits: Although the basic principles of running with your feet flat still apply when you going uphill, many runners tend to forget that it is extremely important to align their body in a straight form which involves keeping the head and eyes up and looking about 30 meters in front. The major benefit of this vital body posture is that your body receives the much-needed oxygen that will significantly increase your energy output. By keeping your body in a straight posture, your knees will lift higher off the ground allowing you to climb upwards more effectively. 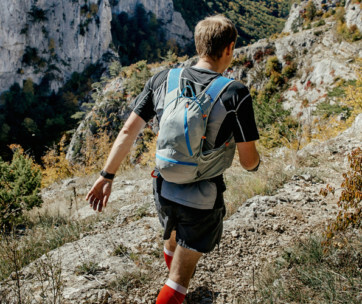 What’s more, if you are carrying a running backpack, it is also advisable to maintain a good knee lift by driving your knee upwards, flexing your ankles and landing on your heel. An advantage of this is that your quads are strengthened with the knee lift which ultimately supports your whole body. This practice essentially reduces fatigue while improving the elasticity and power of your calf muscles. Also, your shoulders, back, and knees should be aligned to allow easier flexing and extension of the hips. This is highly beneficial to your routine as it boosts your capacity to generate power and biomechanical efficiency. Likewise, your elbows should be bent forward while you drive your arms straight back and forth; this motion serves a propelling force for your body during the run uphill. Benefits: Many runners usually make the mistake of either not using their arms when running uphill or using them in a wrong manner. This not only adds stress to the body but it can also tighten your upper body muscles. This particular technique is aimed at countering the motion in your hips to help you properly maintain your balance. As you run uphill, it is important to keep your arms bent around your elbow at a 90-degree angle. This helps to keep most of the upper body relaxed. Also, as you are on the run uphill, your speed will naturally reduce as your feet hit the slope. This can be effectively countered by driving your arms powerfully and it helps you to pick up speed and drive your body forward. It is also vital to concentrate on swinging your arms lower and shorter because it helps your legs stay close to the ground thereby increasing giving you shorter and quicker strides up the hill. Your running will also become more stable if your arms are slightly loose and flail. 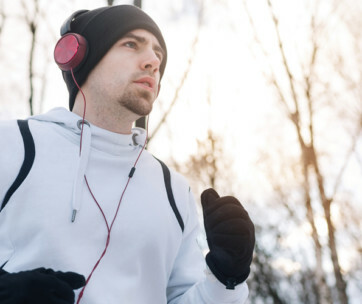 However, try not to flail your arms wide that it gets in the way of your running earphones or other accessories you have handy, which may cause you to break stride or lose focus. 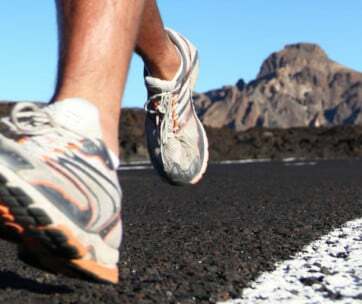 Benefits: When running uphill, there is usually no perfect place to make contact with your feet on the ground. Some runners hit the ground using their toes while some use their mid-foot to strike the ground. Regardless of your chosen technique, what really matters when running uphill is to strike your foot in relation to the center of your gravity. The best way to master this technique is to avoid overstepping the foot arc under the midline in your hips. The major benefit of using this technique is that your body maximizes the surface area of where your foot lands and it helps to considerably conserve some of your energy. However, to perfect this technique, you need to take short strides which fall within your center of gravity; this ensures that your feet and ankles are not placed under much stress and the muscles can actually relax while running. 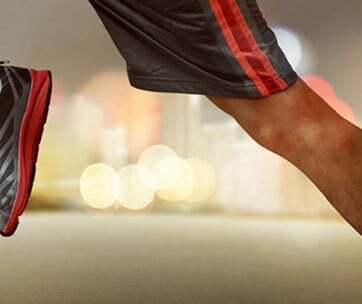 Perfecting this technique is also dependent on the type of running shoes you use during your run uphill as this can determine the specific area of your foot you use in landing; the wrong footwear will add unnecessary weight which can slow you down. 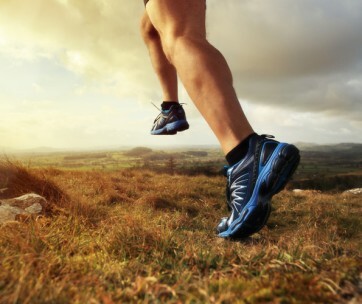 Uphill running with shoes such as the Gore-Tex running shoes or trail running shoes give your foot plenty of forefeet cushioning while remaining light helping you to maintain your balance and also prevent your feet from cramping. Benefits: Naturally, your stride rate and length will shorten the longer you continue your run uphill. The best way to counter this is by using the Quick, Short and Light Strides technique. It is advisable to keep track and maintain your stride frequency and this is better done by adjusting your stride length. Firstly, your strides must be soft and the major benefit of this is that it makes you more efficient in your running. By landing soft on the soles of your feet, it helps you to keep your body up against the gravity of the hill. Secondly, your strides must be quick, as this evenly distributes your body load efficiently during a run. Many runners often make the mistake of increasing their overall body speed instead of just the foot speed; this can ruin your run uphill by getting fatigued easily. Thirdly, you should have proper knowledge of a running rhythm that is perfect for you. There is usually no perfect rhythm to achieve a good run uphill but it is important to keep your legs turning over and piled under your hips. This is a good technique to adopt for your next run uphill and the best-served way is to adopt a short, quick stride that is at least 150 strides per minute. An advantage of this is that the regular churning of your feet against the hill propels you forward. Another benefit of this technique is that it involves fewer impact forces which lessen the incidence of injuries and at the same time, gives you more stability. A good way to measure your stride rate is by counting the number of times your right leg hits the ground then multiplying it by four. Benefits: This may sound somewhat easy for an arduous task like running uphill but it is still a very important technique to use. Every single step you take when running uphill gets harder, forcing you to slow down eventually. Relaxing while on the run is a good way to conserve and regain some of your lost energy which will be needed to complete the run. It is important to loosen your leg muscles whenever your leg is not in contact with the ground; this will help to delay the buildup of fatigue in your legs and also increase your endurance. It is also crucial to concentrate on letting your lower back and arms release tension. You should also aim to keep your arms relaxed by only slightly moving them forward and back. Also, ensure that your arms do not get restricted by your running jackets as this will only impede the propelling force of your arms on the run. Instead, opt for running jackets that are specifically designed to give your arms easy movement on the run. Benefits: Leaning forward is a major technique to focus on when running uphill. This is very crucial as it adds to your momentum going forward. First of all, when using this technique, it is advisable to periodically look at the ground in front of you so as to watch your footing on trails to avoid tripping and causing possible injuries. Secondly, lean your body forward aiming to mirror the hill you are running on. The steeper the slope, the further you have to lean forward. When running uphill, you can also adopt the plantar flex movement which is basically pointing your toes towards the ground. This is highly beneficial because your ankle helps to lift you off the ground and propel you up the hill with minimal energy spent. To perfectly adopt this technique, you should ensure that your posture is held upright and your neck, shoulder, and arms are in perfect alignment so as to free them from tension. Lastly, when running with this technique, your legs should not just be used to keep your frame up, but they should serve as powerful pistons that propel your forward. While leaning forward, each step you take will carry you up the hill. This is beneficial to your uphill routine as it saves you a lot of energy and also gets you up the hill faster. Benefits: This next technique may sound strange as you may be wondering if there is a particular way you need to breathe while running. Actually, there is, and it is highly beneficial to you because rhythmic breathing focuses your mind on your breathing and creates a process where you can gauge your effort while running. Rhythmic breathing helps you feel every single effort you put in while running and this gives you instant control. This technique can also play a key role in preventing the occurrence of injuries during running. For instance, when your foot hits the ground, the impact force is almost three times the weight of your body and the impact is greatly felt after you have exhaled. A combination of these factors leads to less stability in your core and can make the body vulnerable to injury. On the other hand, practicing this technique while running uphill will help you coordinate the impact your foot makes with the ground with your breathing pattern so that you alternately land both feet at the beginning of every exhalation. Promoting controlled and regular breathing can be done by dropping your shoulders and relaxing your upper body. Also, when running uphill with hydration packs on your back, rhythmic breathing helps to distract your mind from the added weight on your back by focusing your awareness on your breathing instead. And if the hydration packs start to weigh you down; you can mentally push the thought out of your mind by exhaling. Benefits: Although a steady running pace comes with many benefits, starting slow on any run is self-explanatory and is very important especially for individuals who wish to attempt uphill running for the first time. Uphill running can be highly demanding and it is highly advisable to start slow. It is better to avoid comparing your pace to fellow runners as they may be more experienced than you and are therefore better experienced to run uphill. Instead, slow your tempo and get into a steady cadence. This eventually benefits you because you conserve your energy and don’t get worn out easily. Also, adjust your pace according to the slope of the hill and maintain a constant level of effort as you ascend up the hill. Starting slow is also important so as to find the right level of incline. If you are running uphill for the first time and you try to take on a steep hill, it is highly likely that you will tire early and lose some of your motivation and confidence. This technique will help you to gradually build up your tenacity and resistance as you attempt each run. Starting slowly also helps you to figure out the right and essential gear you can use to run uphill. For example, uphill running requires running shoes that are light and have a soft footbed which prevents unnecessary blisters.